Ever wanted to get into advertising or the creative industries as a whole and not known how? Well Foot In The Door is here to help you. At Bareface we are passionate about helping young talent get into and make a succesful career in the Creative Industries. With this in mind we have supported the Foot In The Door Programme. 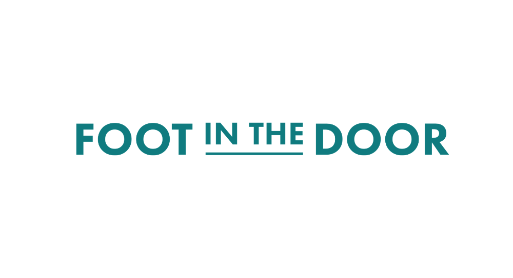 What is Foot In The Door? A chance for 60 young people to get an insight and work based learning in the creative and cultural sector. There are apprenticeships, volunteer opportunities and some jobs up for grabs at the end. Each partner is offering 30 hours of training, we ask you to choose 3 courses. However you can choose all 9! That means you could get up to 270 hours FREE training! The courses will run over evenings, weekends and holidays. They could be a one week stint over a holiday or an hour a week, but none of them will clash. They will run from the end of July-December 2017. We will be working alongside these incredible organisations to deliver the programme and un-tap young talent: Creative Alliance, BeatFreeks, Birmingham Royal Ballet, Blue Whale Training, The CBSO, Dance Exchange, DesiBlitz, The mac Birmingham and The Birmingham Repertory Theatre.